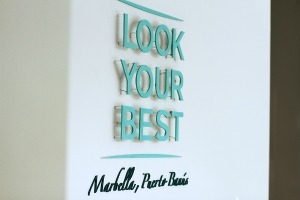 Look Your Best Marbella is a recommended fitness studio conveniently located in the heart of Puerto Banus with revolutionary equipment keeping you fit and healthy in a fast and efficient way. To learn more about this innovative and effective way to stimulate your muscles and tone your body, contact the team today. And when you mention MarbellaFamilyFun.com you are entitled to a Special offer. Enter our feedback survey for your chance to win a three month membership during the months of February, March and April. 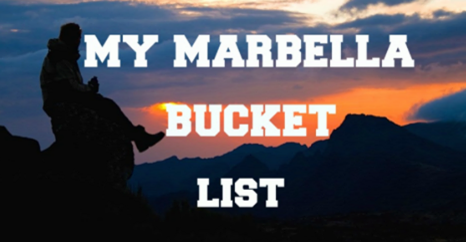 This is an exclusive package worth €1,500 that you are eligible to win upon completion of a simple customer satisfaction survey on MarbellaFamilyFun.com. The winner will be announced in January 2017. Good luck! The Studio, located in Puerto Banus offering targeted and effective training with a gentle 20 minute workout tailored for your goals by combining muscular stimulation technology. By employing hardly noticeable external electro impulses, the natural effect is additionally intensified and immediate results are achieved. Results. Alongside a healthy diet, Electric Muscle Stimulation (EMS) is a highly effective way to burn fat, sculpt muscles and reduce cellulite. it evens improves skin tone. Making you feel beautiful inside and out. A 20 minute session is like a 2 hour high impact work out in the gym. What is EMS. Electric Muscle Stimulation workout which activates over 90% of muscles fibers during each contraction which can be up to 18 times better than conventional weight training. It has a low impact on joints so training for health and rehabilitation is possible at any age. Look Your Best. For everybody and any body to feel healthy and beautiful after each 20 minute session you will be led by a fully-trained, skilled personal trainer to motivate, support and ensure you are achieving your best results. A professional will listen to your goals and work out a personalised training programme. EMS Training is an investment in your health and wellbeing and can help you age beautifully. Combined with other activities you can improve your quality of life and vitality. To learn more about this innovative and effective way to stimulate your muscles and tone your body, contact the team at this fitness centre below. 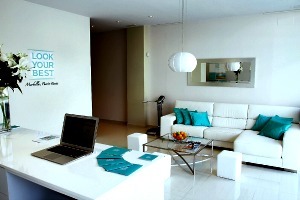 They are conveniently located in Puerto Banus.